It is hard to imagine that experienced surgeons, anesthesiologists and nurses would need a checklist to avoid obvious mistakes in surgical procedures, but the hard evidence is that simple checklists make an enormous difference in patient outcomes. 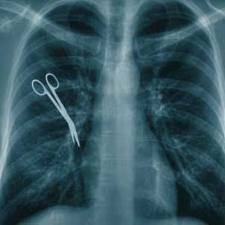 Complications and medical malpractice rates are cut dramatically. The evolution of the checklist is chronicled in a recent book by Boston surgeon Atul Gawande. Inspiration for the procedural checklists for surgery came from the airline industry, which has always used checklists for routine and emergency procedures. Thousands of hours are spent honing the lists so they are not overwhelmingly detailed and difficult to follow. And they work. Working with the World Health Organization, Dr. Gawande and the research team studied complication rates in a variety of hospitals around the world, some teaching institutions in wealthy countries, some from the most impoverished countries, and some in between. Complications and deaths were assessed. The checklist was implemented and changes were studied. Within months, major complications had dropped by 35% and deaths had dropped by 47%. The 19-point checklists now in use include some remarkably simple steps: The operating room personnel introduce themselves and state their roles; they discuss any known risk factors; they make sure they have the right patient, the right procedure, and the right part of the body. The list also includes more details such as confirming medication allergies, reviewing the anesthesia plan, discussing concerns about blood loss, identifying pathology specimens, confirming sponge and needle counts, and sending important information to the recovery room. These simple procedures have saved lives, reduced complications, and saved probably hundreds of millions of dollars and immeasurable pain and suffering. A checklist that costs almost nothing to perform (just a few minutes of everybody’s time) is easily saving far more than any possible medical malpractice “reform” that is being considered in the halls of Congress or state houses around the country. Further fine-tuning of medical practices, not punishing the injured, is the correct path to malpractice reform. Advice to Consumers: If you are planning for a surgical procedure, make sure your surgical team is using a checklist to avoid complications in your case. 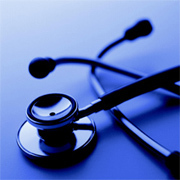 According to Dr. Gawande, over 94% of medical professionals say they would want a checklist for themselves.